In Good Will Hunting, Matt Damon plays an aimless, unambitious janitor at MIT who ultimately proves a math genius. But, even as his secret is discovered, he’s reluctant to use it, owing to some past trauma he suffered in life. To get passed it, he meets with a psychologist (Robin Williams), and by talking about baseball, they work towards some sort of breakthrough. So do they solve Damon? You bet they do. And all it took was repeating the phrase, “It’s not your fault!” until he accepts it wasn’t his fault after all. Over the past 20 years that scene – the “It’s not your fault!” scene – has been memed and giffed to death. Has been mocked by Family Guy. Has served as a punchline in jokes about common misunderstandings about treating mental health. Even so, at the time the brain trust behind Good Will Hunting (Damon and Ben Affleck on script, Gus Van Sant on bass, er, direction) thought they were making something good. It was only everybody else coming after it that attached any irony to the scene and made it the joke we see it as today. And why does that specific scene and it’s refrain of, “It’s not your fault!” get singled out for mockery? Mostly for being too damned pat. Here’s the reality with mental and emotional trauma – it’s hard to overcome. Sometimes it can take years of treatment to isolate just the source of the trauma and even then, the therapy is meant to help the sufferer cope, because there isn’t always an easy cure like is presented in Good Will Hunting. And that’s assuming there is a source. In short, people do not have on/off switches for their trauma and mental issues. More than anything, they have a dimmer switch. They can turn the lights down, as it were, but they may not ever go off. Psycho explicitly explains Norman Bates’ psychopathy as jealousy over his mother. Vertigo subscribes to the ‘one more bonk on the head’ theory – that if one bonk on the head causes amnesia, another will cure it. Similarly, one bad scare will cause vertigo, so another should cure it. Nor would Good Will Hunting be the last with some facile take on mental health, given Silver Linings Playbook, a movie I really love, makes the case that depression and bi-polar disorder can be treated with love. To be fair, movies are very short things – two hours or so in most instances – so they don’t have a lot of time to be nuanced about mental health. Also to be fair, many mental health issues are not always treated quite so pat. Ordinary People played it straight with regards to survivor’s guilt and grief, recognizing that while treatment might not offer a cure, it can at least help folks cope. And all the way back in 1948, Hollywood at least shrugged towards accuracy when it made The Snake Pit. 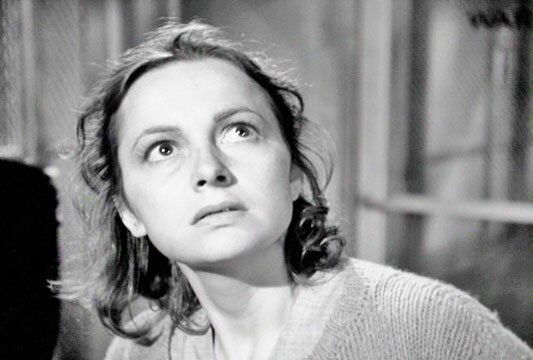 The Snake Pit is the story of a woman (Olivia De Havilland), traumatized by a pair of deaths in her past, who winds up in a mental hospital, struggling with memory loss and bouts of acting out. Through many rounds of therapy, including shock treatment both literal – with electric shocks – and figurative – by being dumped in with much more intensely-afflicted patients – the source of the trauma is identified and efforts towards improvement are made. But even as she has a breakthrough, the movie refuses to call this a cure, making the case that a cure is achieved only through compiling little breakthroughs over time. And even then, it recognizes a cure is probably illusory, and improvement is really the best to be hoped for. In this way, The Snake Pit is fairly honest with mental illness, and while Hollywood would occasionally stray from this honesty from time-to-time in later years, at least in 1948 they were slouching in the right direction. De Havilland spent much of her career in two feuds – either knowingly or unknowingly. The first was with her sister, Joan Fontaine. Apparently, the sisters hated one another as children, and this resentment lingered into adulthood, carried all the way to Hollywood. Both would downplay the feud at one time or another, though Fontaine did make clear it’s existence in her 1978 biography, No Bed of Roses. In fact, being famous might’ve actually made the feud worse, because it meant things between them had to be so public, and when they were both nominated for Best Actress in 1941 – Joan Fontaine for Suspicion, De Havilland for Hold Back the Dawn – with Joan winning, the tension was front and center. Sure, De Havilland would win two Oscars on her own, thereby doubling up her sister’s career haul, but that didn’t solve things. Evidently, while they occasionally tried to put the feud aside, the rift was apparently made permanent sometime in the mid-1970s, lasting until Fontaine’s death in 2013. Now, while De Havilland’s feud with her sister was explicit, her other feud, with her place in film history, is implicit and not one she can really win. For a woman that had the career De Havilland did – she co-starred opposite Errol Flynn in the 1930s, and was doing exploitation films in the 1960s and 1970s – she’s essentially defined now by just one role – Melanie Hamilton from Gone With The Wind. Though it was only a supporting role, if De Havilland is remembered today it’s for this one, typecasting her retroactively as nothing more than milquetoast, mealy-mouthed mouse. On the one hand, this is unfair, short-changing the career of a two-time Oscar winner. On the other hand, it’s basically a godsend because it means whenever anybody stumbles across something else she’s done, it comes as a real discovery and revelation. And while she may not have won the Oscar for The Snake Pit, her role in the film does feel like a discovery. Unlike Gone With The Wind, where she plays the very definition of a retiring bride, here she gets to play big. Here she gets to be dramatic! Unlike Gone With The Wind, or even The Adventures of Robin Hood, where she seemed incapable of anything but whispers, here she gets to throw down hysterics like she’s bought them in gross, and gets to act in scare quotes. Better, it doesn’t just make her go big verbally, it lets her use her face to good effect as well. After all, while half the performance is verbal – either in her spoken dialog, or her voice-over of her own thoughts – the other half is played on her face as she reacts to those around her, and to her thoughts. Sure, it’s not exactly a subtle performance – honestly, she verges on camp at many points – but she’s definitely working for it. And for this movie, everything was note-perfect. For me, though, what I enjoyed most about De Havilland’s performance was her easy passive-aggression. Unlike Melanie Hamilton, who couldn’t say a bad word about anybody, and would have withered in the face of the insults and hostility De Havilland faces here, this character gives as good as she gets, throwing shade like she invented it. For no other reason than that, I loved what she was doing. The Snake Pit was directed by Anatole Litvak, a man I’d heard of, but was otherwise unfamiliar with. Having now seen The Snake Pit, he’s probably a director we should all give a little more attention to. After all, while this film does bleed a little bit into broadness, he mostly keeps control of it, and shoots the film in a way that fits in with the great paranoia films influenced by the German Expressionist cinema. He purposefully runs this film to amp of the ambiguity of De Havilland’s character, so for a time we doubt both her sanity and insanity, keeping us off-balance. Yes, the ambiguity eventually falls away and sometimes the performances are a little much, but he does what he can with the film, at least holding interest all the way through. 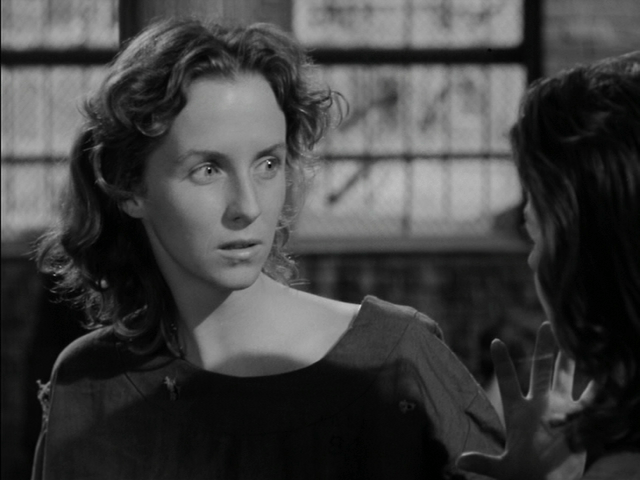 I missed her name in the credits that opened the film, which is good, because if I had seen it, I wouldn’t not have been so pleasantly surprised when Betsy Blair slipped into the movie. She was, for a time, Mrs. Gene Kelly, before they divorced and she married director Karel Reisz, who was her husband until his death in 2002. Though Blair does not get a ton of screen time here, and is mostly non-verbal as a patient prone to violent outbursts, the relationship she has with De Havilland is quite nice. The way De Havilland takes Blair under her wing, like a lost puppy, with each using that relationship to allow the both of them to fix – in a manner of speaking – one another. And because Blair’s character is so stubbornly non-verbal, when she finally does speak, it puts a really nice exclamation point on the movie that feels earned. The Best Picture winner of 1948 was was Laurence Olivier’s take on Hamlet, which I quite enjoyed, what with the way it leaned into the artifice of it all. That all said, whether The Snake Pit is better than Hamlet or not is a moot point for the simple fact that 1948 saw the release of two true classics: Powell and Pressburger’s The Red Shoes, and John Huston’s Treasure of the Sierra Madre. Yes, I’m aware they talk about more than baseball. Just trying to be funny but reducing it to that. As a person who is not a mental health professional I hope I’ve described this accurately and not simply making a fool of myself. i.e. Thrown in the snake pit.